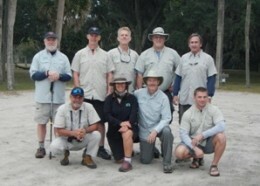 Up The Creek Xpeditions takes the Rock The Park guys on a Cumberland Island Adventure! 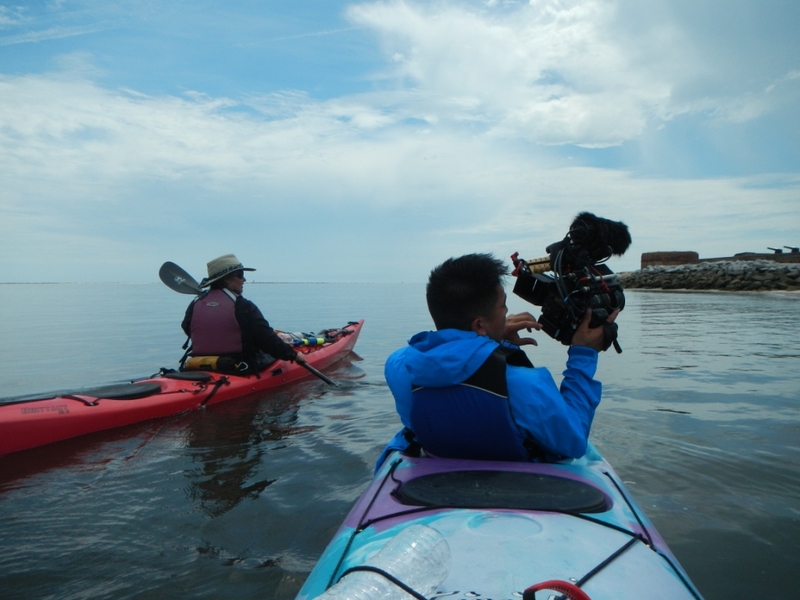 Recently, Jack Steward and Colton Smith (#thoseparkguys), stars of television’s Rock the Park, were in town shooting episode one of their second season (S2:E1) – featuring kayaking to Cumberland Island National Seashore. Jack and Colton travel the country in an effort to visit all of our National Parks and they feature a different park on their show each week. 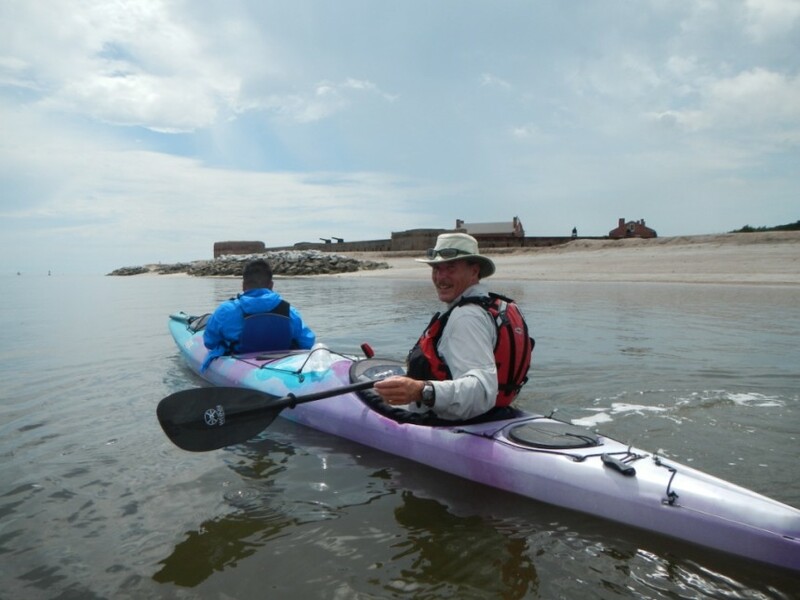 Cumberland Island was at the top of their list of destinations for season two and kayaking from Amelia Island with Up The Creek Xpeditions was their idea of the perfect way to get there. 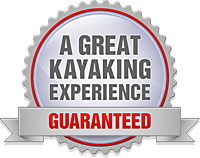 We met with Jack and Colton the night before their big adventure to set them up with kayaks and gear – which they insisted on carrying themselves. 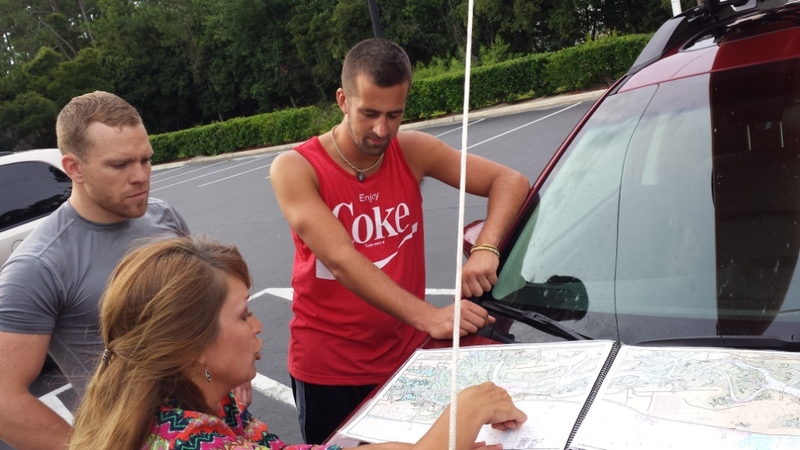 After helping them load the kayaks on the roof rack of their Subaru, Jennifer gave Jack and Colton a trip briefing covering the planned route, safety items and emergency procedures. Jack and Colton are not experts at all the things you see them do on television, but they are professional adventurers and we were pleased that they asked all the right questions and listened intently to the answers in order to make all the right decisions where safety and navigation were concerned. Launching from the North End of Amelia Island, the trip past historic Fort Clinch State Park and across Cumberland Sound is indeed the most scenic and exciting way to reach Cumberland Island. On this day, the weather was perfect – until a severe thunderstorm chased us down and forced us off the water. From our refuge on the southern end of Cumberland Island, we watched as the rather impressive storm passed just south of us. After a necessary, but uneventful delay, we continued to our destination enjoying the abundant wildlife sightings along the way. Dolphins, Osprey, Manatees, Horses and a Giant Eagle Ray were just a few of the highlights of our trip over to the island. 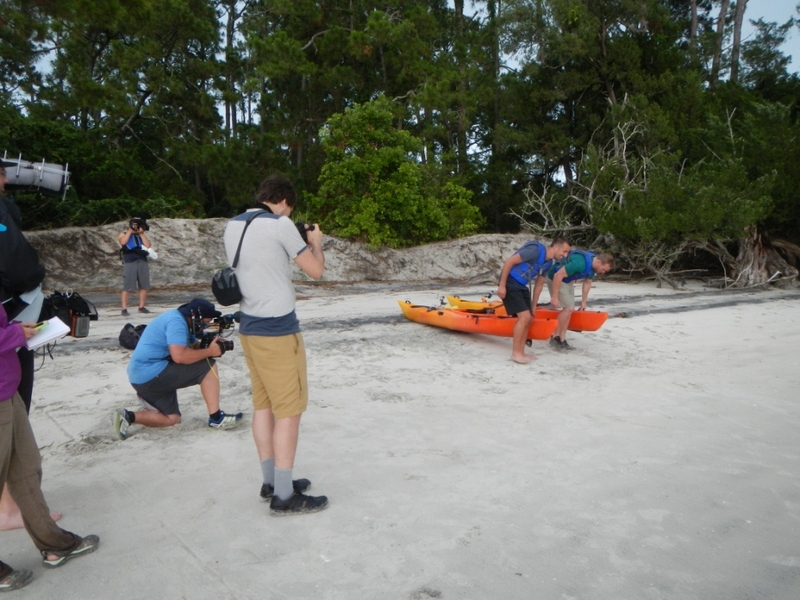 Check out Jack and Colton as they paddle with Up The Creek Xpeditions to Cumberland Island on the Season Two premier of Rock the Park this Saturday, October 3rd, 2015 at 11:00 am on ABC. In Northeast Florida and Southeast Georgia, you can watch Rock the Park Saturday mornings at 11:00 am on ABC — WJXX Channel 25 on Dish. Episodes of Rock the Park are also now available on Hulu.